When we realised that one of our partner agency rebranded to “We are Magneto”, we were very intrigued and wanted to know more. They also happened to be very much focused on checkout conversion. So I went and interview Gyles Seward, their Managing Director . Tell us a little more about yourself and We Are Magneto? 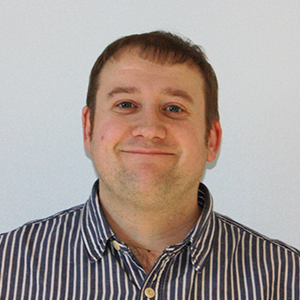 I’ve been involved in digital marketing for around twelve years now covering all aspects of U/X, digital marketing and eCommerce. I decided to set Magneto back in 2012 but didn’t register the holding company until 2013. In my previous role I’d been developing a bespoke content management system and it was particularly bad and after numerous client complaints I decided that I’d pursue the off-the-shelf route. I’d heard good things about Magento from a developer and decided to focus on this framework. We started with a lot of smaller websites and have built up our understand from there. Today we work on both Community and Enterprise solutions and our team is growing fast (50% in the last six months). Magneto has given us the platform to demonstrate our skills and we’re working on some really interesting projects and continue to support our very loyal client base. Why did you decide to work in Magento? I think the first reason is my past working in a bespoke content management system, to give an example a website was built using the framework and the day it launched, Google changed how the shopping feed need to be structured, in Magento this would be a small fix, for the bespoke solution it took six months to resolve. However above and beyond that I’ve always had a passion for conversion rate optimisation and to us Magento provides a great framework for adapting your approach with multiple extensions available and its eCommerce first nature. It’s infinitely scalable and once you’ve mastered it, the framework is arguably the best eCommerce solution out there. Finally, it’s the on-going investment and thought that goes into the core framework, I like to say it supported by millions and with extension developers such as yourselves continuously adding value to the development community it’s not going to stop. What pearls of wisdom have you learned about developing eCommerce website using Magento? Great people are key to a successful Magento project and we only recruit verified staff. We have a phenomenal team and I’m very proud to work with all of them. Secondly and perhaps most important is understand extensions and only work with the best. We’ve been using One Step Checkout for a number of years now and it’s always in our verified extensions list meaning we include it every time. Using the extension is one thing we also note the conversion improvement it delivers on average around a 25% improvement. Finally, I say understand the scope of a project and the possibilities of integrations. Magneto have been doing a lot of integration work lately, whether it’s Sage, SAP or another, we’ve covered a lot of ground and each time I’m blown away at what Magento can do. Which of your websites are you most proud of? Always a difficult question to answer as I’m proud of every website we create and support for clients. However, to narrow down the field I like the turnaround we achieved for our client Hellenia, they’d had a legacy website for a number of years and it barely performed. Magneto completely re-vitalised the brand, user experience and conversion rate. What do you think is the next big thing in Magento? I think the question should be more, ‘the next big thing in eCommerce’ as whatever it is, Magento will adapt and scale to remain the market leader. For Magneto we believe mobile commerce will continue to grow and we’re working with basket solution providers to understand how to make the checkout as streamlined as possible. Great personalisation will play a bigger role, however within the boundaries of GDPR and with Adobe now involved in Magento the opportunities are endless…exciting times ahead. Last, but not least: how did you come up with the name ‘We Are Magneto’? It was quite a challenge coming up with a name for our company, we tried all the classic brand exercises but came out with things like, ‘eCommerce are us’, which were all particularly bad and not reflective of who we are. In the end we played about with ‘Magento’ and came up with ideas like ‘Mee-hen-toe’, which in hindsight is embarrassing. Anyway we did some visual play work and what came into our heads when we said Magento and one of the developers said ‘Magneto’, which is a comic character with great powers. We like to think our team have ‘powers’ over Magento and this name was descriptive of us and a great play on the system we work in. 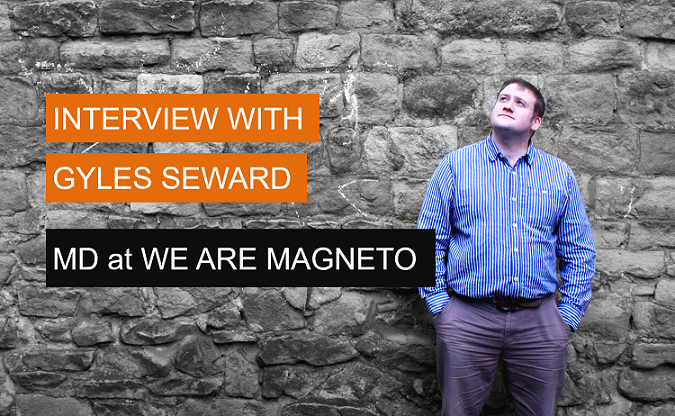 Gyles Seward is the Managing Director of We Are Magneto, a dedicated Magento agency based in London and Leeds.